Those 21 and over who help clean the beach are invited to a celebration afterwards with free Barefoot Wine and light food at the Beach House, 906 Beech Street in Long Beach. 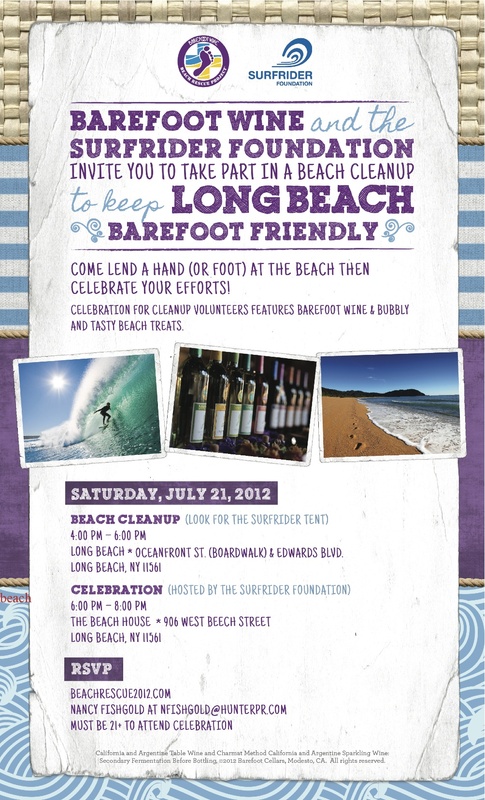 See flyer below and please register here http://beachrescue2012longbeach-eorg.eventbrite.com/. Since wine is being provided we need a head count. Barefoot Wine has been proudly supporting the Surfrider Foundation for seven years now and events like this definitely help the local chapter. Come on out and get involved or join or renew your Surfrider membership as well.